Reading: a lot lately. 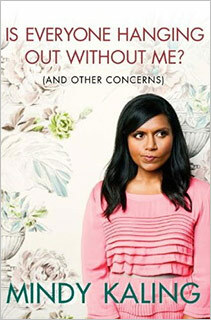 Finished Mindy Kaling's book Is Everyone Hanging Out Without Me? Funny, easy, took no time at all. Reminded me of Tina Fey's book. Totally makes me want to watch The Office again. I've downloaded a bunch more books, including some old ones I've already read. Enders Game is coming out in theaters and I want to read it again before we see it. Watching: We've finished Sherlock and are working on Arrested Development. 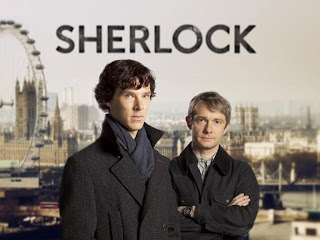 Sherlock was incredible, and I cannot wait to see their third season. I heard wonderful things about Benedict Cumberbatch's performance in this show, and I loved him in the new Star Trek. They did a fantastic job revamping the Sherlock stories to modern day. So, um, you all need to watch it. Arrested Development is going good. Can you believe that before this month, I had only ever watched the first episode. Yep. We're in the third season now, and its a nice funny comedy to watch before bed. I'm looking forward to seeing how the fourth season is after their 7 year break. Feeling: Nervous/excited about going away. It will be the longest time I've spent away from the kids. I know I'll miss them terribly too. Nervous because I've never flown on a plane before and I'm afraid of heights. Tony gets the window seat thankfully. Super excited to travel. I bet that once we go, we'll need to go back to Europe and travel again. The travel bug is evil apparently. 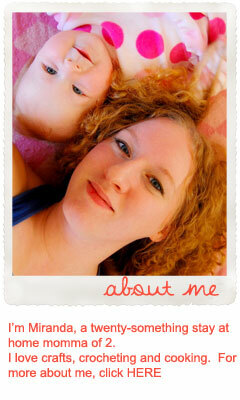 Thinking about: whether or not to get my eyelashes tinted and done. Mikaela had hers done for grad and they are gorgeous. Not having to wear mascara would be a real treat. Eating: Tons and tons of legumes. I've been trying to add more of those and less meat to our diet. Not cutting out meat entirely yet, but I am trying to cut back on it. Last night I made curry with beans and veggies. I love curry.